Why choose Park Lane Cakes? 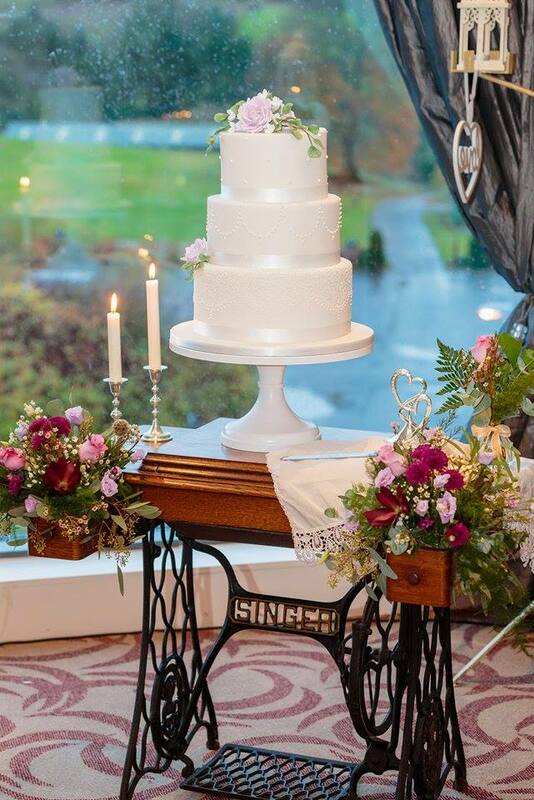 Established in 2012 by master cake baker Catherine Lipsett, Park Lane Cakes is renowned for creating beautiful bespoke wedding cakes, cupcakes and dessert tables for weddings across Donegal, Leitrim and Sligo. 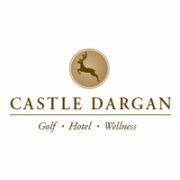 With our excellent attention to detail, highest quality ingredients and professional service from initial consultation to delivery and set-up, our stylish wedding cakes are the perfect choice for your wedding day. 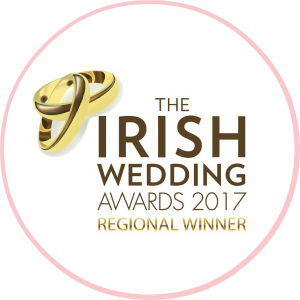 Park Lane Cakes won wedding cake designer of the year for the border counties at the 2017 Irish Wedding Awards and is the recommended wedding cake supplier to a number of prestigious wedding venues including Harvey’s Point, Lough Eske Castle and The Mill Park Hotel in Donegal, Lough Rynn Castle in Leitrim and the Radisson BLU Hotel in Sligo. 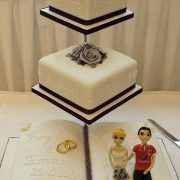 Your wedding cake is not only something that needs to taste divine; it also needs to look amazing. 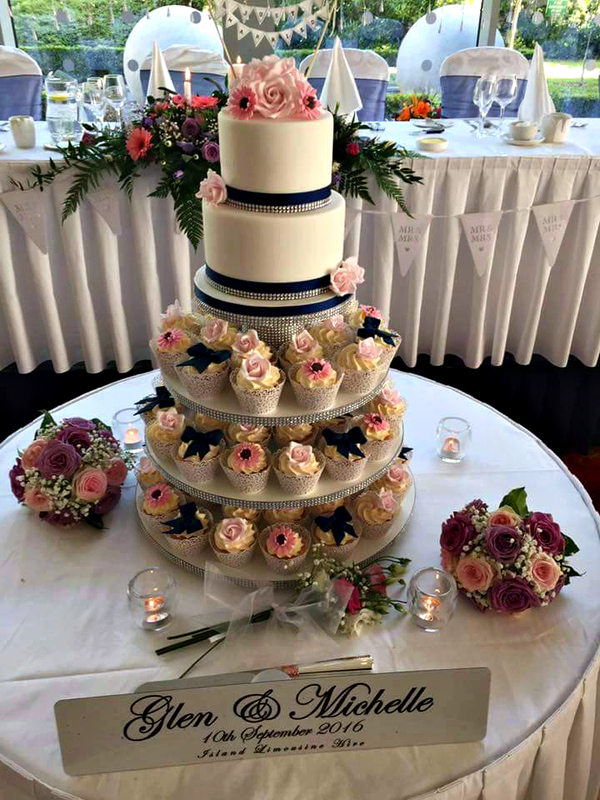 Park Lane Cakes creates stunning wedding cakes, cupcakes and dessert tables that will impress your guests and provide an excellent feature for your photographs. 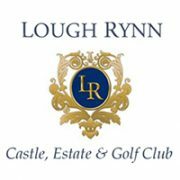 We will take inspiration for your wedding cake from all the elements of your wedding day such as designs from invitations, embroidery details from the wedding dress and the colour of the bridesmaid’s dresses. Our bespoke wedding cake adornments include fresh or specially designed sugar paste flowers, pearls, gemstones, lace and novelty figurines. Your wedding cake will be unique and personal, one that your guests will certainly remember and something you will look back on as one of the most important focal points of your wedding day. The cutting of the cake is a ceremony in itself, and we ensure that the centrepiece of that ceremony is second only to the centrepiece of the whole day – the bride and groom! 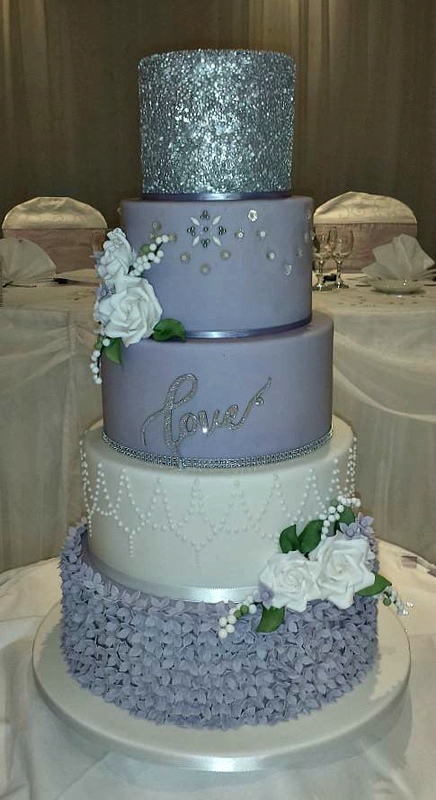 Park Lane Cakes is passionate about creating great tasting wedding cakes that wow people with every bite. Our cakes are freshly baked to order in Kinlough and are available in a variety of delicious flavours and fillings including chocolate biscuit, carrot with vanilla cream cheese and chocolate with chocolate buttercream. Only the finest ingredients are used for our baking such as Benbulben farmhouse eggs, Irish butter and Nielsen Massey vanilla extract. 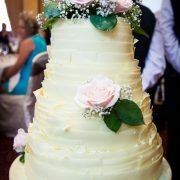 If you have special dietary requirements for you wedding cake we will be happy to discuss these with you.